Experiment ZR012 is Back in Black! Experiment ZR012 is the latest creation born from the collaboration of Felix Baumgartner, Maximilian Büsser, Martin Frei and Serge Kriknof. 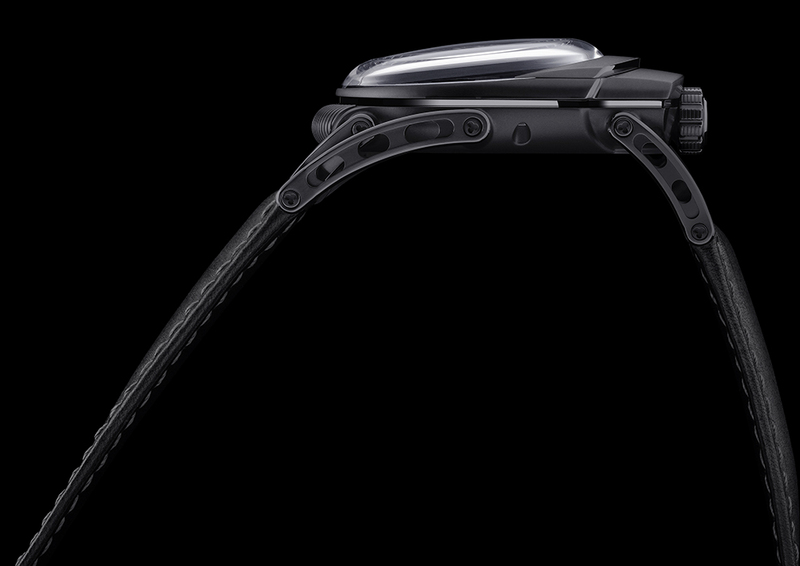 Experiment ZR012 movement with a power reserve of 39h. C3H5N3O9 is quite a weird name for a watch brand, unless you’re a chemist, than you’ll know that it’s the molecular formula of nitroglycerine. When the creative minds from MB&F and Urwerk sit down together to let their imagination go wild, the results are bombastic. The Experiment ZR012 is their latest creation, inspired by the Wankel engine, resulting in the first watch to use epicycloid indications. 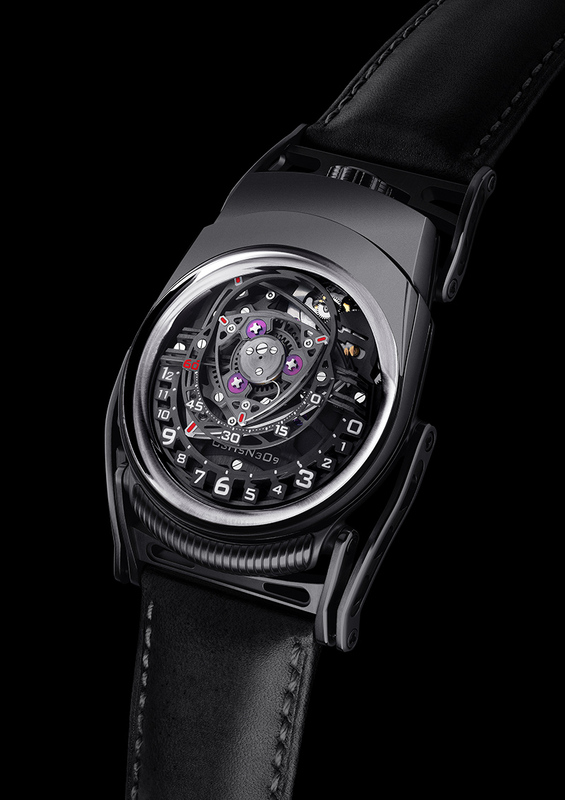 When C3H5N3O9 – the molecular formula for nitroglycerine – launched Experiment ZR012 last year, nobody, including MB&F and Urwerk, the partners behind the project, had any idea of what might happen. C3H5N3O9 was (and is) an experiment in the real sense of the word and nothing similar had been attempted before. As it turned out, the experiment was a fantastic success and the reception (and demand) was beyond all expectations. 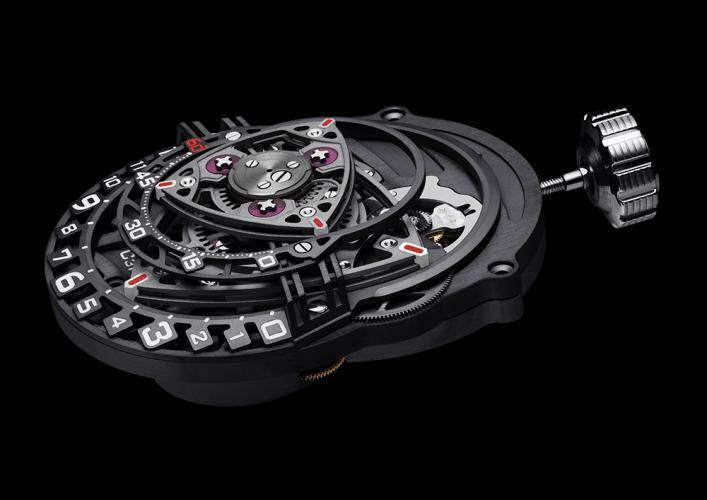 Experiment ZR012 is an edition of 12 pieces in zirconium and 12 pieces in black zirconium.